The Recipe: Call onions the steady-eddies of cooking, we cook them every day but rarely take notice. Thanks to this classic French side dish called "soubise" [pronounced soo-BEEZ], we'll never take onions for granted again. Soubise combines thin ribbons of onion with rice and a little cream and cheese. Dreamy. Heavenly. Ethereal. Addictive. Yes, it's that good. The Conversation: Who stands up for kohlrabi and green beans? When Norman Borlaug died at age 95 last fall, it saddened me that his life’s work was vilified. Borlaug was the Midwestern scientist who championed modern farming practices across the world, not unlike, isn’t it so? the indigenous American peoples who bioengineered corn and potatoes millennia before. Borlaug’s work in agronomy, genetics and plant pathology is credited with saving a billion people from starvation. He was awarded the Nobel Peace Prize in 1970. Then there’s St. Louis’ own Monsanto, the company whose Round-Up and genetically modified (GMO) seeds evoke controversy. In 2006, Monsanto formed a vegetable and fruit seed division to develop new strains of broccoli, onions, tomatoes, lettuce, cucumbers, melons and more. First out of the dirt is a mild onion called EverMild introduced this month by Monsanto and St. Louis’ largest grocery chain, the family-owned Schnucks Markets. I attended a media lunch where chefs prepared an all-onion meal, everything from caramelized onion pizza and French onion soup (delicious!) to a fruity onion sorbet (no thanks). Call me conflicted. Nobody stands up for kohlrabi, say, like Kraft stands up for Kool-Aid. Nobody stands up for green beans, say, like General Mills stands up for Golden Grahams. So when science and investment produce higher-yielding, disease resistant, longer-lasting, better-tasting or more nutritious vegetables and fruits, isn’t that what we ask and expect from American ingenuity? Isn’t that a sign of human progress, not a certain problem? If it takes a company the size of Walmart versus the passion of Whole Foods (see “The Great Grocery Smackdown” from this month’s Atlantic) to save small family farms, can we allow the possibility that the Monsantos of the world must be afforded the chance to contribute? Thoughts, readers? Do we want companies to stand up for fruits and vegetables? Can we afford to? Can we afford "not" to? No debate about Julia Child’s recipe for Soubise [pronounced soo-BEEZ], the onion and rice side dish: it’s fabulous. My friend Anne Cori calls it "French risotto without the stirring" but the rice almost melts into the noodle-like strips of onion. Come to think of it, yes, with eyes closed and tastebuds open, there’s a mac ‘n’ cheese dimension to soubise, a swanky grown-up mac ‘n ‘cheese, for sure, but mac ‘n’ cheese nonetheless. Pair it with meat, a roast chicken, say, or thin slices of rare beef tenderloin or even as the "starch" with a weekend pot roast or brisket. Last week, I served it with Moroccan Chicken, twas dreamy. COOKING with EVERMILD ONIONS The onions are supposedly tearless but in my experience, not. Because I wear contacts, I never have trouble crying over cut onions but with EverMild, I did, so did two others who helped cut vegetables for a family birthday party. (I know, I know, this is a bad sign.) EverMild onions are "long day" onions for harvest in the fall, sold up until March, when Georgia’s famous Vidalia onions, "short day" onions harvested in the spring, become available. For the moment, EverMild onions are only available at Schnucks Markets in St. Louis. More about EverMild Onions and St. Louis’ only newspaper doing investigative journalism, Riverfront Times. RICE Bring the water to a boil in a medium saucepan, add the rice and cook for exactly 5 minutes. Drain immediately. ONIONS Melt the butter on medium heat in a large oven-safe skillet (see TIPS) with a lid. Drop in the onions as they’re prepped, stirring to coat with butter. Once all the onions are in, briefly sauté them. Stir in the rice, salt and pepper. BAKE Cover and bake for an hour, stirring once or twice. Remove from the oven, stir in the cream and cheese. If the rice is still a little undone, return to the oven for 10 – 60 minutes (see TIPS). Serve and savor. MAKE-AHEAD TIPS Soubise can be made ahead of time and then reheated for serving, no loss to quality. ALANNA’s TIPS My favorite rice for soubise is the Arborio so often used in risotto. But don't worry, any white rice will work fine. Brown rice works too but needs to be cooked longer than white rice, aim for "al dente" so just before done. Less butter works too, I’ve used as few as two tablespoons butter. But with less fat, do watch the onions carefully as they cook, so not to scorch. For onions, use a cooking onion like a yellow onion or a sweet onion like a Vidalia, once they’re in season. With careful knife work, it is possible to slice the onions thin-thin-thin. Faster, however, is the slicing blade on a food processor. My favorite slicer for this dish is a mandoline, also called a Japanese Benriner. Cut the onions in halves or quarters, place flat-side down on the blade to peel off ribbons of onion. Please, do wear the finger blade and review my tips for how to safely use a mandoline. For cheese, Gruyère is traditional and adds a gooey-nuttiness that’s fabulous. But I first became smitten with soubise made with goat cheese, the tang played beautifully off the savory onions. Many cheeses would work, just avoid an oily cheese such as cheddar. For appearance’s sake, I like to combine the rice and onions on the stove but then transfer to a shallow dish like a quiche pan covered with foil for baking. An hour in the oven creates a dish that’s done – and delicious – and creamy-pale. When dinner ran late one night, I left the soubise in the oven for another hour and oo-la-la, the cream turned dark and nutty. NUTRITION INFORMATION Per Half Cup: 145 Calories; 9g Tot Fat; 6g Sat Fat; 13mg Cholesterol; 132mg Sodium; 13g Carb; 2g Fiber; 4g Sugar; 3g Protein. 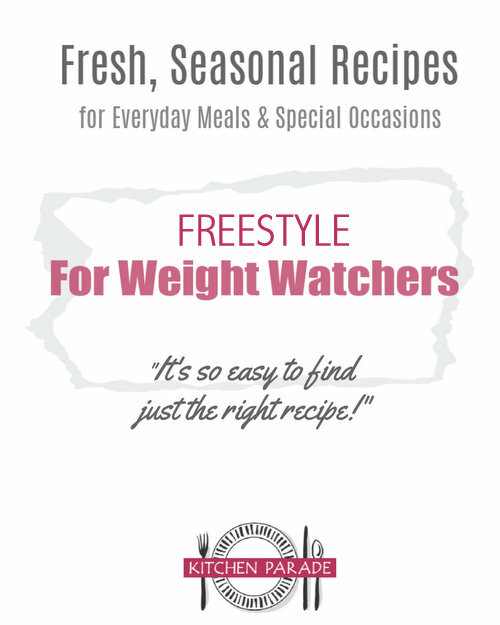 WEIGHT WATCHERS POINTS Old Points 3 & PointsPlus 4 & SmartPoints 6 & Freestyle 6. Adapted from a “Mastering the Art of French Cooking” class at Kitchen Conservatory, St Louis' amazing cooking school. The instructor, my friend Anne Cori, reports that her students all went home afterward to make her newbies for soubise themselves. I get this: I’ve made soubise three times and three ways in 10 days. Yes, it’s that good. Anne’s a fabulous cook and a regular inspiration. She’s also the Pastry Whisperer who taught me how to make Flaky Tender Pie Crust and for that, and for Julia Child’s Soubise recipe, and other life-changing introductions, I am ever grateful. Kitchen Parade is written by second-generation food columnist Alanna Kellogg and features fresh, seasonal dishes for every-day healthful eating and occasional indulgences. 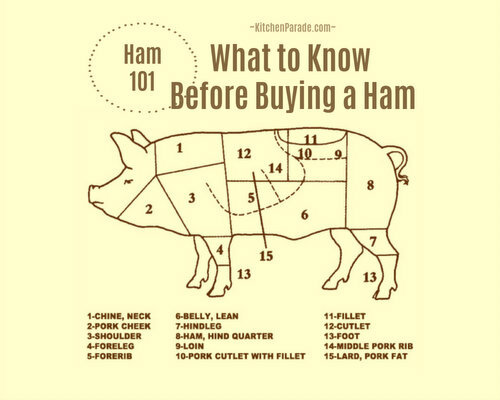 Do you have a favorite recipe that other Kitchen Parade readers might like? Just send me a quick e-mail via recipes@kitchen-parade.com. How to print a Kitchen Parade recipe. Never miss a recipe! If you like this recipe, sign up for a free e-mail subscription. If you like Kitchen Parade, you're sure to like my food blog about vegetable recipes, too, A Veggie Venture. If you make Julia Child's Soubise recipe, I'd love to know your results! Just leave a comment below. I've never heard of soubise, but I LOVE onions (I cannot imagine cooking without them - they add such a great flavour to most dishes, when handled properly). Bookmarked!! Pille ~ I wonder how many people from Estonia could say the same thing, at least about Schnucks Market?! But you'll laugh to hear that when I was thinking about what 'other' onion dishes, your whole-roasted red onions were all that came to mind! I’m betting those EverMild onions are GM. No brainer, Alanna. I cannot trust Monsanto. Your description of Monsanto is surprisingly mild. They are far from mild which is why millions of people are anti-Monsanto and their Nazi like operations. From bankrupting farmers to poisoning third world countries, they operate with an undeniably UN-American ethic. Chopping onions is how I start so many meals in my house! Sometimes I don't even decide what I'm doing until I've already diced my onions and garlic. This recipe looks wonderful! A big THANK YOU for this recipe! Made it last night and it is fantastic! You are my favourite recipe site on the web! HeatherCheryl ~ Shedding a little tear, not onion tears but nonetheless ... thank you!! In response to the comments, my great grandfather was from Estonia, and I've visited my extended family in Estonia, and I shop at Schnucks every week! ;) More coincidences! Loved your post, but have pretty mixed feelings about Monsanto. Living in St. Louis, it's hard to criticize a corporation that provides so many jobs, and you do raise a good point about encouraging the consumption of healthy fresh produce. However, Monsanto's main mark on the modern industrial food culture is on corn. Not the juicy vegetable we buy in the summer, but the inedible commodity that is mostly made into high fructose corn syrup and food for beef cattle. I'm not sure how healthy THOSE things really are. Fortunately, they sell onion goggles at Kitchen Conservatory, so I can use the onions nature made with no tears. This article will point you to a 44 page report on falling nutrition levels in food since we have gone for quantity over quality as Norm Borlaug started the world running after. Nutrition in wheat has severely fallen. No wonder we are getting fatter all the time. We eat like crazy trying to get the nutrients we need that the food no longer supplies. And taste. Conventional can't compare to organic--surprised me, but I'm sold on it now. No worries from me, I missed this the first time around. It sounds wonderful, I love roasted onions so know I will like this. Onions and cheese, what's not to like? Trie this the other night - the family had only one comment: double the recipe next time!!! So I plan to - and add a bit more arborio rice.... Loved the flavor and texture - used a good gruyere cheese whack is my favorite! Loved this - and to think I made a "Julia" recipe that didn't take several hours to prepare/cook. thank you! It seems that I have celiac disease, and I've been looking for some serious comfort food to replace my first true love, macaroni and cheese. This is in my oven right now... well, half of it is, anyway. I ate the first half after adding the cream and the cheese (before putting it back in the oven) because OH.MY.WORD. I couldn't help myself. Praise Jesus for Julia Child. Your adulation of Monsanto sullies every other word or idea in your blog. What an insult and a disgrace to mention them and Julia Child in the same article. Dear Anonymous ~ I do not offer "adulation" for Monsanto, in fact, I state outright that I am conflicted. I know many abhor their work. I'm on the fence - primarily because I know that the scale required to feed the world will NOT happen one farmers market or one heirloom tomato at a time. We need companies with the wherewithal of Monsanto to change food production on a world scale. Next time you write, please use your real name and email address, no need to hide behind anonymity. Open discussion is allowed here although bullying is not. Your views are welcome, so long as you do not mock mine nor others. I'm reminded of a book I shared with my godson when he was a bossy four-year old, it was called, Who Made You the Boss, Banana Monkey? I'm not the boss but neither are you.